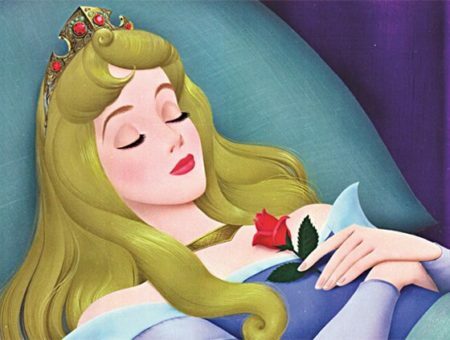 When I was growing up–really, through my early 20s–I can’t recall having sleep issues. When I went to bed, I slept soundly throughout the night. The one event that caused me to not sleep well as a kid was Christmas. On Christmas Eve, I was incredibly nervous. I would lay awake for most of the night, worried about Santa’s logistics and running odds that burglars would sneak into the house on the most lucrative night of the year. travel: If I’m traveling the next day, for some reason I get really nervous and don’t sleep well. This is particularly bad if I’m driving long distance, because I really need to sleep well before that. public speaking: I will often not sleep well for weeks leading up to a public speaking engagement. business announcement: This was the case today–I’ve been preparing for months for today’s announcement of our new game. It’s kind of a nervous excitement, as I was eager to share the secret I’ve kept for so long, but also stressed that the dozen or so things that needed to happen today would happen as perfectly as possible. Are there any next-day events that cause you not to sleep well? Have you figured out any ways to trick yourself into getting a deep sleep despite those events? This entry was posted on Wednesday, August 29th, 2018 at 10:51 pm	and is filed under personal and tagged with personal. You can follow any responses to this entry through the RSS 2.0 feed. Similarly, as a child, I can remember missing sleep on the night before Christmas (some years) and one year on the last night of summer before school started when I wanted to prolong the summer as much as possible. I too slept soundly well into my 20s and now find myself feeling lucky to have a few solid nights of sleep per week. Similarly to you, the #1 mental challenge that keeps me awake is work-related stress. If I have a particularly challenging project, event, or question, I’ll find myself restlessly musing about it or playing the next steps out in my head all night long, making for a very unsatisfactory night of sleep. So far, the potential remedies I’ve found (that are admittedly hit or miss) are to (1) get up briefly and write down key thoughts if it’s a project or question and I don’t want to forget or (2) convince myself that there’s nothing I can do at this point–I’ve done what I can and it’s only hurting my next-day self to stay awake wrestling with whatever it is (for an event I’m nervous about). Anyone have any other good methods of mollifying nighttime anxiety? I like those solutions, Trev, and I’ll give them a try. I haven’t found a good solution yet. Sometimes I try breathing exercises, which may help a little. Pretty much every night. Self employment is fun. I’m normally a pretty easy sleeper. However there are things that will keep me awake, mostly work related. Things like parent teacher conferences will keep me awake. I’m fine speaking in front of the kids, but the parents makes me nervous. Then recently we have been doing a lot of high intensity school shooting drills and the night before those I tend not to sleep, despite knowing that they’re just drills. They still make me nervous. Most of the time I take a sleep aid before any of those events because I know I’ll need a good night of sleep. That does sound intense, Mackenzie, especially the school shooting drills. It’s been a while, but I do remember not sleeping particularly well on a night before having to take a test (be it a school-related one or driving or…well, you name it).